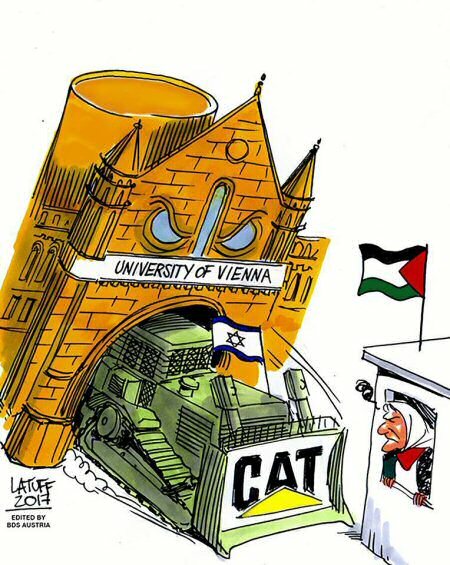 The following statement, initiated by BDS Austria, addresses the role of the Israeli Embassy and the University of Vienna in opposing Palestinian rights and supporting Israeli apartheid. Samidoun Palestinian Prisoner Solidarity Network as well as Samidoun Goteborg are signatories of the statement, along with other international groups and academics. Signatories and action links via original article. 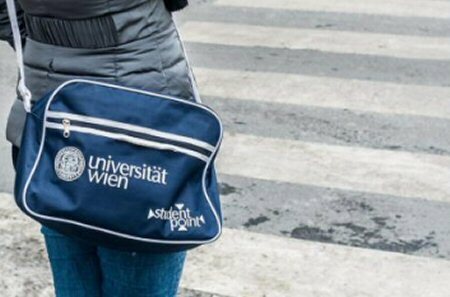 The Austrian Students‘ Union (ÖH – Österreichische Hochschüler_innenschaft) will host a congress, Confronting Antisemitism(1) at the University of Vienna (Universität Wien) from the 15th to the 17th of November 2018. Israel’s embassy in Austria is a co-organizer. Today, it supports the whitewashing and legitimization of Israel’s occupation and expulsion policies by making its facilities available to Israeli institutions and other supporters of Israeli Apartheid, while denying such privileges to the former Black Panther Dhoruba bin Wahad based on his criticism of Israeli policies and support for human rights. Thus, while critical academics are boycotted and vilified, speakers who are known for their unconditional support of Israeli Apartheid are given the stage at the “Confronting Antisemitism” event. In addition, some of these speakers have in the past called for denying Israeli BDS activist Ofer Neiman and Holocaust survivor Hedi Epstein the possibility of speaking in publicly supported facilities. Moreover, Alexander Feuerherdt, who writes for the radical, racist, right-wing website „Liza’s World, “gets the stage for his conspiracy theories. He claims, for example, that the repeated criticisms of the Israeli Apartheid state by the United Nations are “an expression of institutionalized anti-Semitism that is characteristic of the United Nations as a whole.” Feuerherdt also accused the Jewish-Israeli activist Jeff Halper, who was nominated for the Nobel Peace Prize in 2006 together with the Palestinian activist Ghassan Andoni, of “acting anti-Semitically,” and of serving as the “principal witness” for the accusations Palestinian solidarity groups level against Israel. This choice of conference speakers could be interpreted as an embarrassing mistake, or as an attempt to promote the broadest possible academic discussion, but the co-sponsorship of the event by the Israeli Embassy, and the choice of an embassy official for the opening address are simply unacceptable. More than 40 Jewish groups from across the world recently released a statement that opposes equating anti-Semitism with criticism of Israel’s policies and its system of occupation and Apartheid. • Palestinian students and academics – inside and outside Israel – have their academic freedom restricted, are imprisoned or even killed. • as this is written, the Palestinian population of Khan al Ahmar is under threat of being expelled from their homes; their village is inundated with sewage, and bulldozers stand ready to demolish their schools and kindergartens. • at the Apartheid fence in Gaza, F16 fighter jets blow demonstrators to pieces(14), snipers shoot hundreds of people and maim thousands . That is why we call on academics and concerned people throughout the world to question the prevailing narrative, to manifest their outrage about the immoral and inhumane situation in Israel and Palestine, and to join the Palestinian call to boycott events with Israeli government sponsorship and/or official participation.